Suzuki Intruder Fuel Injection will be available in the existing colour option, Metallic Oort/Metallic Matte Black No 2, and Glass Sparkle Black/Metallic Matte Titanium Silver. 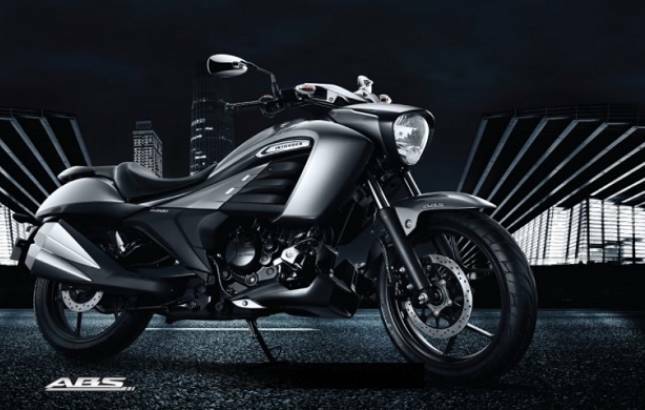 Suzuki launched Intruder in India in the month of November last year and now the company has launched the Fi version at Rs 1.06 lakh (ex-showroom Delhi). Sanjeev Rajasekharan – Executive Vice President, Sales & Marketing of SMIPL said, "Since its launch, the Intruder has received an overwhelming demand with close to 15000 units sold, overachieving our projected sales target by 25 per cent. With a unique blend of premium appeal, coupled with futuristic features like ABS and now an efficient Fuel Injection technology, the Intruder is a premium offering in the cruiser segment, unlike any other’’. - 14bhp of power and 14Nm of torque. - Projector headlamps with LED position lights. - ABS with Disc brakes in front and rear. There are no other cosmetic changes in the upgraded version of the bike. It will be available in the existing colour option, Metallic Oort/Metallic Matte Black No 2, and Glass Sparkle Black/Metallic Matte Titanium Silver.